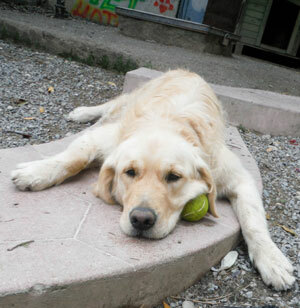 You may have heard about the plight of hundreds of Goldens abandoned in Istanbul. It has been in the news and on social media and we have been following this travesty. A few months ago, we began communicating with other rescue groups that have been helping these unfortunate Goldens. Ben Samann, a valued volunteer and board member, and I took a personally funded trip to see first-hand what was going on in this famous city as part of our board’s mandate of due diligence. This journey of discovery was profoundly life changing and it affected us at our core as we witnessed first-hand the fate of a Golden Retriever population of approximately 700 that had had been abandoned, forgotten, left on the street or put into shelters. 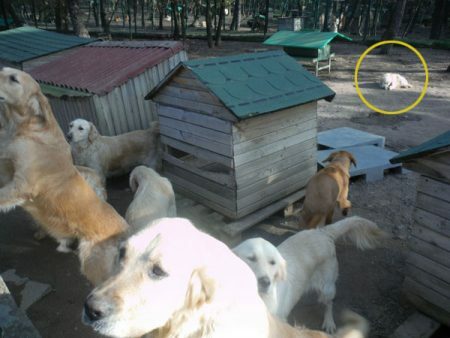 There are many homeless dogs in Turkey and not enough room in the shelters for all of them. Because there is no shelter euthanasia and few adoptions in Turkey, dogs either live out their lives in a shelter or are put on the streets or in the forests after they are spayed or neutered and given rabies vaccines. But Golden Retrievers don’t survive well on the streets. They are not good pack animals and won’t fight back, so many are attacked by other dogs and their survival depends on people helping them. Today, stray dogs can be seen everywhere. We saw them roaming the streets and around city perimeters. 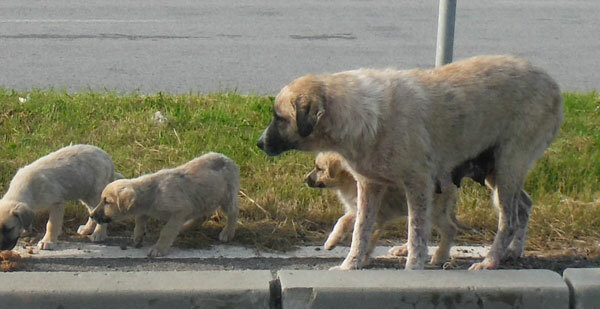 Particularly heartbreaking was the sight of a mom and her tiny pups, probably no more than four or five weeks old, huddled on the median of a busy highway. Our hearts were pounding when we arrived at the first shelter, unsure about what we would see and how we would feel. I’m not sure either of us was fully prepared for what our eyes took in. The Goldens were beautiful, excited to see us, and yearning for attention. But beyond their superficial beauty was something more striking. We felt a sense that these dogs were lost souls and when we looked into their eyes, we saw at once a sense of loneliness and desolation. It was gut wrenching. Ben and I knew instantly he was one of the ones we wanted to help. 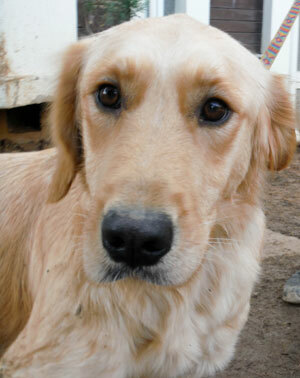 We called the Golden ‘Hope’, assuming this sweetheart was a girl. Turns out Hope was a male, so he became ‘Bob Hope’. When we put a collar and leash on him and I started walking to the van that would take him to the rescue pension, I saw a Golden instantly transformed ~ his head was held high, his tail never stopped wagging, and there was a sparkle in his eyes! Somehow he knew he’d been saved. Bob Hope, along with Dumbo (yes, he has big ears), Happy, Jake (who had just found been found covered with ticks, horribly matted hair, and a tail full of burrs and who knows what else), Sophie, and Lucky (who may have a broken leg or two and whose tail was so badly mangled, it was hanging on by a thread), will be heading to Toronto, with other Goldens to be loved and cherished every day of their lives in loving, forever families. And Lucky’s tail has now been safely amputated and this handsome devil will hopefully be ready for his trip to Toronto in January. And there will be more and we can hardly wait! It was clear that our mission had materialized. We knew that we were in the right place at the right time and had made the right decision to rescue these gentle souls. 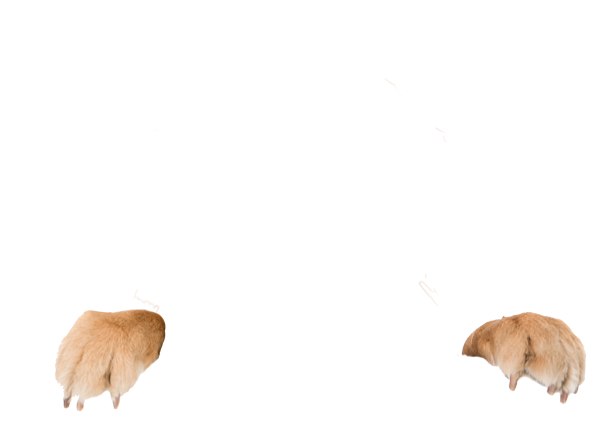 Besides due diligence on several levels, we asked for input from many Golden Rescue supporters, most of whom had given us their blessing to “go get the Goldens”. So we felt an enormous sense of hope to be able to join our Golden Rescue colleagues in the U.S. who have already found families for so many of these beautiful souls. It was time for Canada to step up and bring the dogs ‘home’. 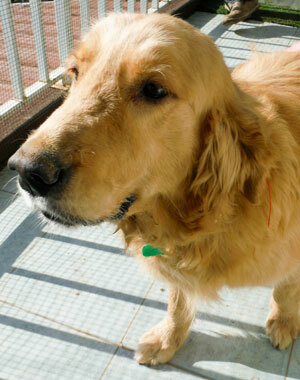 Golden Rescue has made amazing strides in the last 25 years, rescuing and rehoming more than 2,300 Goldens. Every year we see our reach expanding across Canada and beyond. And as the world continues to become increasingly connected, Golden Rescue’s work has to become part of an important global initiative to provide forgotten, abused, abandoned Goldens with a second chance and a loving family. 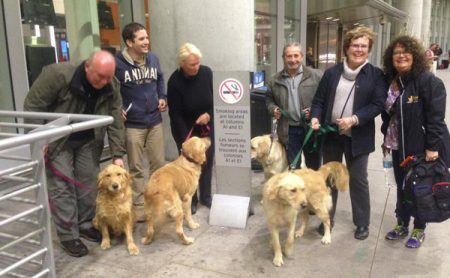 While our first priority will steadfastly remain rescuing Goldens in Canada, we could not, in good conscience, ignore the dire state of the forgotten ones in Istanbul. With tears in our eyes and joy in our hearts, our trip home was filled with renewed anticipation for all that was possible. And the best news of all ~ we did not leave Istanbul empty handed. We are proud and excited to share with our loyal, valued supporters that our Rescue Mission of Love is now underway and we would like to introduce you to Rosie, Limon, Tokyo, and Adelle who landed safely with us. These beauties were greeted by a number of Golden Rescue supporters at the airport and seeing them arrive from the cargo hold, following their 11+ hour journey, was one of the most joyous and emotionally charged moments of our lives. Even the cargo handlers seemed moved by the vision of these four young dogs, wagging their tails, excited to be in the presence of an enormous outpouring of love. Rosie, Limon, Tokyo, and Adelle range in age somewhere between two and three years old and are currently with their foster and foster-to-adopt families, where they will be showered with affection until they can join their forever families. She may be the sweetest Golden ever. She’s beautiful, peaceful, and loving. She slept on my bed in the hotel room on our first night in Toronto. With her tail perpetually wagging, I think we both enjoyed sweet dreams. This beautiful boy is a bit more reserved than the others, but it’s clear that he loves life. And now he has so much more to look forward to! He is a love bug who is a tenacious affection-seeker. He’s impossible to resist…and who would want to! Tiny, wrinkly Adelle is a talker who is highly responsive to human voices and finds supreme pleasure just being petted. While serving the needs of Goldens already in our program, and those who are continually coming to us, we will simultaneously find loving families for our four new rescues and the many others that we plan to bring to Canada from Istanbul in the New Year. 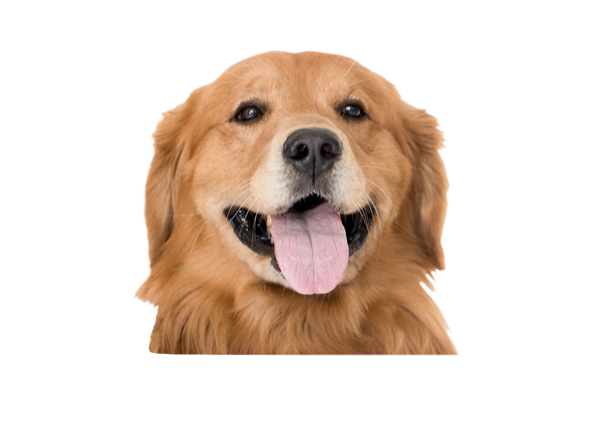 By definition, we are a charitable organization and we see an immense opportunity to extend the traditional borders of our reach to lend our experience and love at this critical juncture in the lives of these Goldens. On behalf of the Board of Directors, we are inviting you to share and celebrate every step of this significant rescue initiative. Please check our website and social media for updates. If you have any questions or comments, please contact Golden Rescue at board@goldenrescue.ca. P.S. We are thrilled to be able to share this news with you and the primary reason for this communication is to share this exciting and heart-warming news. But we would be remiss to miss an opportunity for donations. 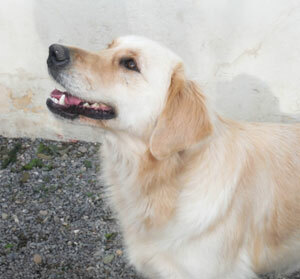 If you would like to help us in our Mission of Love to rescue Goldens from Istanbul, your donations will be most appreciated.